RICHMOND, Va. (AP) - Virginia has picked a consultant to help boost its chances of becoming the east coast hub of the offshore wind industry. Gov. Ralph Northam announced Wednesday that the state Department of Mines, Minerals and Energy had picked BVG Associates as its advisor. The company is tasked with developing a plan to make Virginia more attractive to the offshore wind supply chain and service industries. 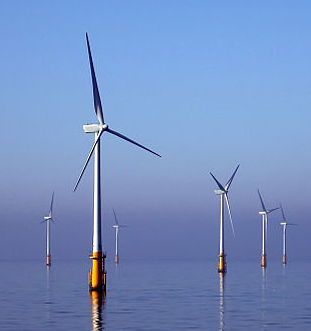 Virginia is one of several east coast states interested in becoming the manufacturing base of the burgeoning offshore wind industry. Virginia currently doesn't have any offshore turbines. Dominion Energy is working on two offshore wind turbines that are part of a pilot program the state's largest utility says could eventually lead to the development of a much larger wind farm.